Born and raised in Detroit, Dru Ruiz was surrounded by a rich music culture from early on. As a boy, his family took him to Mexican festivals in Hart Plaza, where he became immersed in live music, dance battles, and breakdancing showcases. His love for music continued to grow and by 1993, he attended his first underground party at the Packard Plant, a staple of Detroit’s early ‘90s rave scene. Ruiz was instantly hooked. He developed his sound under the guidance of techno pioneer Mike Huckaby and steadily grew his career. By 2000, he was closing out the first Detroit Electronic Music Festival (now called Movement). 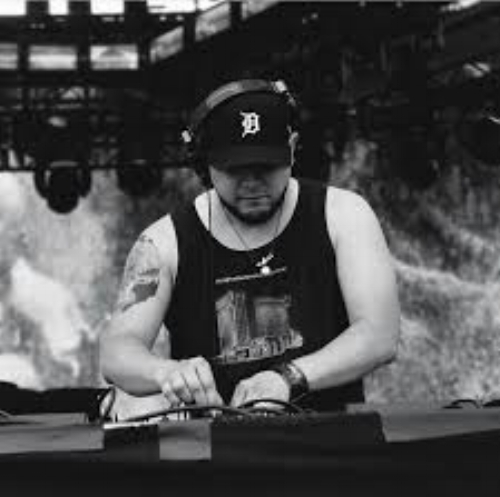 Since then, Ruiz has played across North America and has distinguished himself as a multitalented DJ who is an important part of Detroit’s electronic music culture. Ruiz currently runs Cultured Citizens, his own music-releasing platform, label, and production company. He recently joined the Modified Artists roster and continually seeks to explore new ventures and ways to give back to Detroit. Ruiz participated in Give a Beat’s flagship fundraising Giant Jenga games at Movement.